Following pressure from Bennett, PM gives green light to bill making it easier for terrorists convicted of murder to be executed. 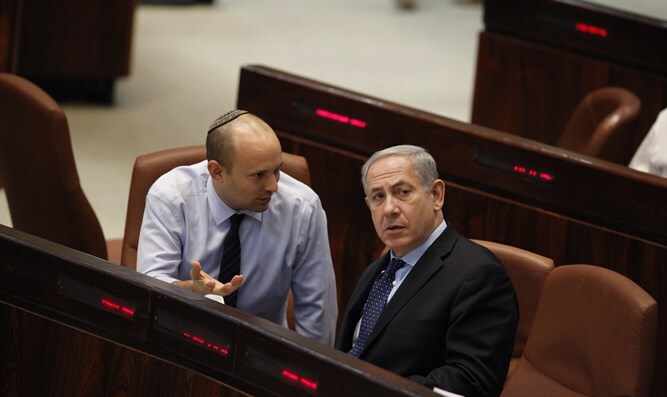 Jewish Home chief and Education Minister Naftali Bennett reportedly called on the Prime Minister to advance the death penalty bill, prompting Netanyahu to endorse the legislation. The bill is expected to be brought up at the Constitution, Law and Justice Committee – which is chaired by Jewish Home MK Nissan Slomiansky - in the next few days to prepare the legislation for its first reading in the Knesset. The European Union has condemned the proposal, calling the death penalty “inhuman and degrading”.